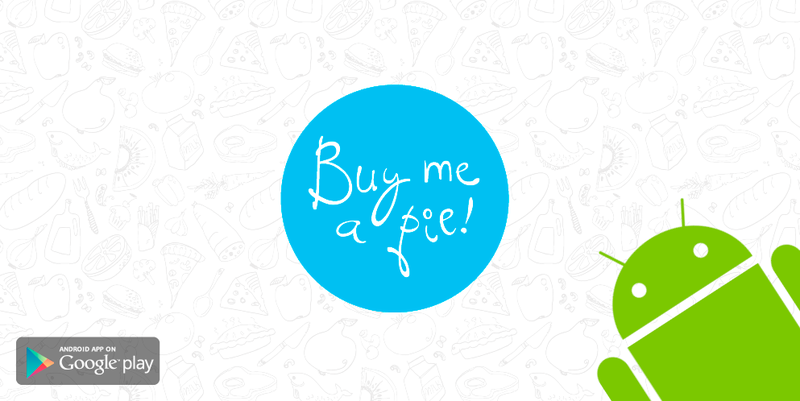 Meet “Buy Me a Pie!” for Android! Home > Blog > Meet “Buy Me a Pie!” for Android! Share the post "Meet “Buy Me a Pie!” for Android!" You’ve been waiting for so long and so patiently, and today we are happy to announce that “Buy Me a Pie!” for Android is available for download in Google Play! 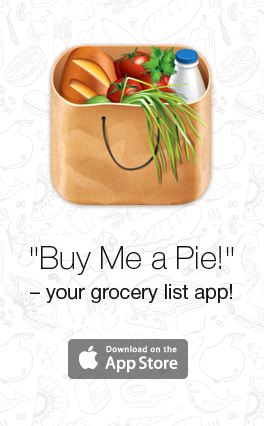 The Android version of “Buy Me a Pie!” is compatible with the iOS version of the application, which means you can make shopping lists and share them with your family and friends on Android and iOS devices as well as on the buymeapie.com site. A beautiful and user-friendly interface. Cloud synchronization of lists among iOS and Android devices. An easy way to add items and their amounts. A quick and handy way to manage the self-learning grocery items dictionary. All newly-entered words are automatically stored in the dictionary. Automatically grouped items in the list. Different color backgrounds for lists. Sharing shopping lists via e-mail, SMS, and other apps, duplicating the lists. 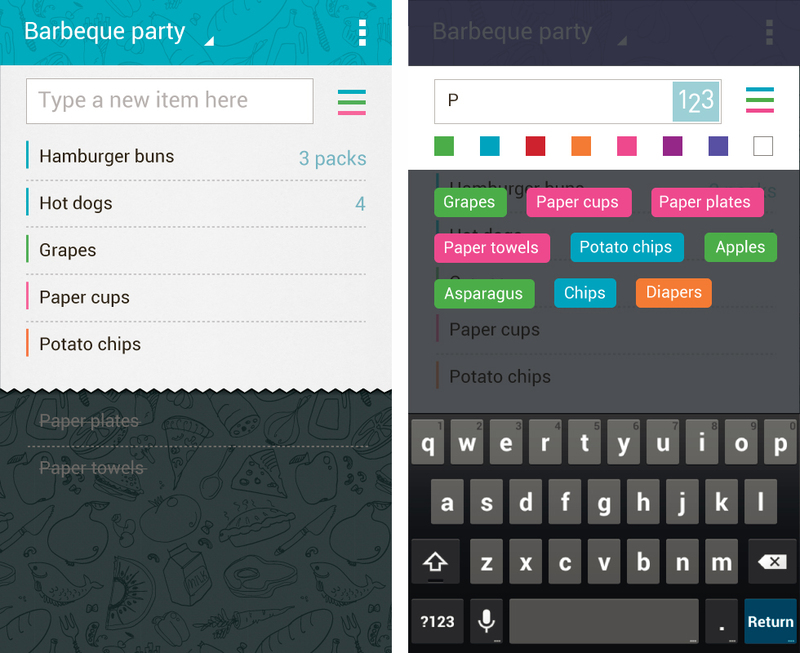 Forget about paper shopping lists that are so easily lost, or overcomplicated grocery list applications. If you use iPhone and your partner prefers Android, you can now both use the same app and share lists – “Buy Me a Pie!” is now available to everyone. The smartphone you choose is all about your personal preference, but it doesn’t have to get in the way of convenient shopping! Without wanting to sound ungrateful, will you offer support for Microsoft Phone as well? We are considering it for the future versions! Hello, Fabio! Italian localization will be added in one of the future versions. When I try to download it says it’s not compatible with my phone. LG Optimus V.
Oh, I see now that you need Android 2.3.3 and up. I have 2.2.2. I guess I need to switch to another app. Hello, Carolyn! Yes, Android 2.3.3. or later version is required. Why do Android users need the pro version in order to share lists? The same feature is free for iPhone users. No. Sharing is not available in free iOS version of the app. I loved buy me a pie. But it got updated and I can’t add new items to existing list nor import from dictionary. What happened? Please send us your login to support@buymeapie.com and describe in detail what exactly happens when you are trying to add a new product to your lists. Is there any error displayed?